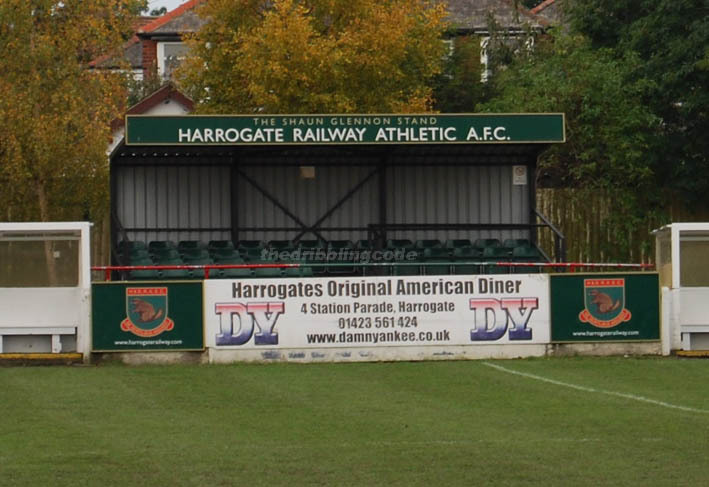 Location: Station View, Starbeck, Harrogate, North Yorks, HG2 7JA. 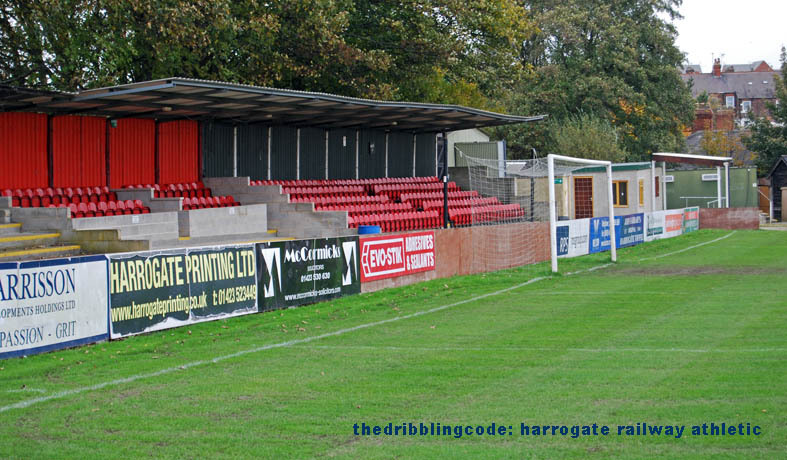 Taken before a recent trip to see a home game at nearby Harrogate Town. 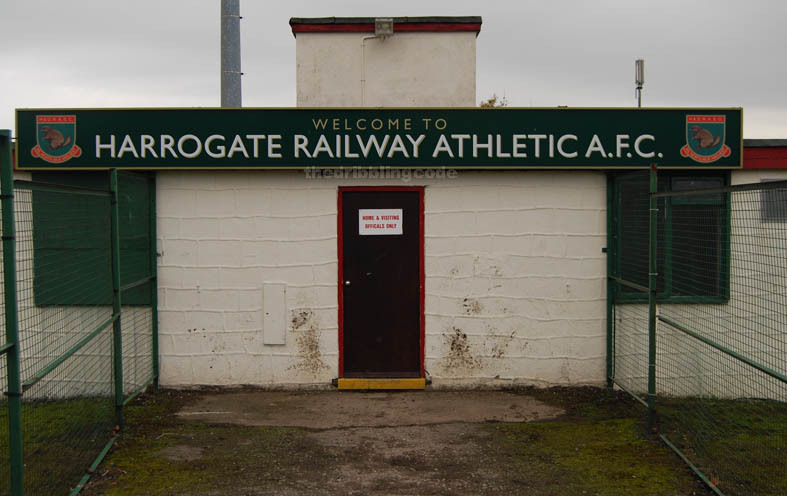 My thanks to the groundsman at Harrogate Railway for letting me do a quick once-round-the-pitch to take these pics. 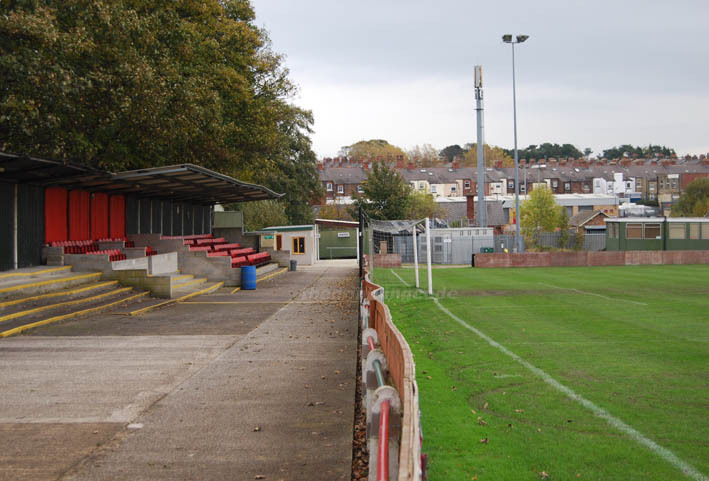 The ground is conveniently situated next to Starbeck rail station and is a very tidy set-up. With a pub next to the station too, this is a winning location all round. 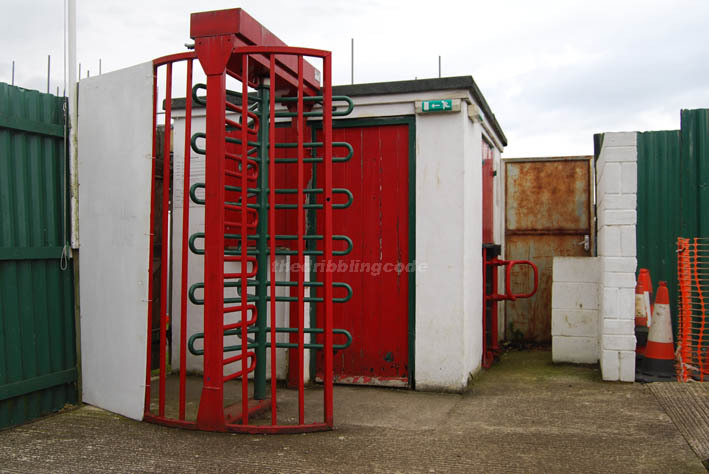 At some stage I shall return and do a match report. For now though, here’s a few photos.. 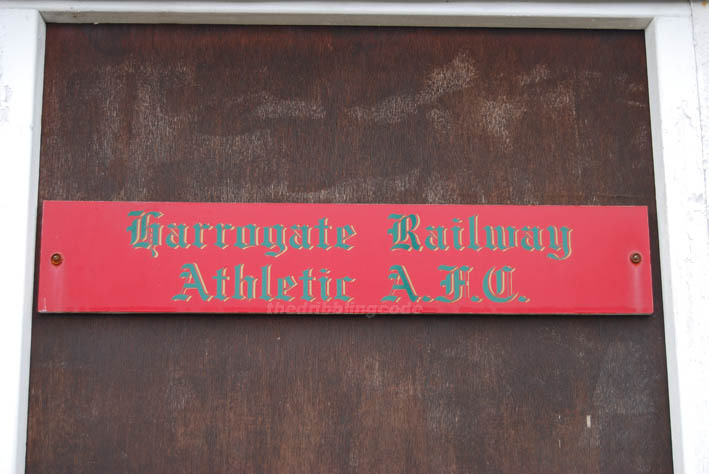 This entry was posted in A-Z by club (home team), Harrogate Railway Athletic. Bookmark the permalink.